Dubai isn’t the hottest place on earth, although sometimes it feels that way. The Independent online newspaper has a list of the top 10 hottest places on earth, some of which, are virtually uninhabitable by humans and no, the United Arab Emirates (UAE) isn’t anywhere on it. Death Valley, California, USA holds the dubious record of the hottest temperature ever recorded, 56.7°C in 1913. By comparison, the highest temperature ever recorded in the UAE was 52.1°C in July 2002. During the long UAE summer, temperatures can easily exceed 41°C. But that is just part of the story. Perceived temperature, also known as the apparent temperature, calculated by adding the impact of air temperature, relative humidity and wind speed, can be significantly higher, regularly reaching 62-64°C in Dubai. Being outdoors in such conditions, isn’t just unbearable, it can be dangerous, with a heightened risk of dehydration or heat stroke. No wonder people can no longer imagine existing in the Emirates without air conditioners (A/C). What did people do before A/C? A/C was introduced in the United Arab Emirates decades ago. Before then, people in the region coped with the summer heat and humidity in ingenious ways, by avoiding the mid-day heat, wearing loose-fitting clothing in natural materials, and by building homes using different techniques to help modify temperature and so on. Windows were small and narrow, to allow entry of light but not the scorching desert air. Walls were thick to keep cool air in and hot air out. For centuries, dwellers in the UAE, constructed wind towers or Burjeels, a well-known feature of traditional architecture. Wind towers, or wind catchers, were often combined with courtyards, domed chambers and water fountains (howz) to enhance the flow of cool air. The Burjeel is a capped tower open on one side to “capture” the prevailing wind. The tower then funnels this wind inside helping to cool the home. The Burjeel depends on air flow to provide a cooling effect. It does not cool the air itself. It was a way to manage heat and improve ventilation which could make people more comfortable. But it was useless if there was no external wind. In Dubai during the late 1800s, houses were also built very close together with covered walkways, known as “sikka”, which allowed wind to funnel through, creating a basic form of air conditioning. A great example of this traditional form of architecture is the Al Fahidi Fort, the oldest surviving building in Dubai which is now the location of the Dubai Museum. Are A/Cs impacting the environment? A/C has made human habitation possible in many regions of the world, where previously only a few hardy souls could endure the crushing combination of high air temperature and humidity, including many areas of the American Southwest. Originally invented to prevent the overheating of printing machinery, A/C and cooling systems have enabled industrial production as well as increasing our overall comfort. A/C adoption is one of the markers of economic development. Mexico, China and India are all boom markets. In China, for example, A/C sales have doubled over the last five years. More than 60 million A/Cs are sold annually in China; eight times more than the sales in the US. A/C systems are based on potent greenhouse gases called hydrofluorocarbons (HFCs), which leak into the atmosphere, contributing to global warming. A recent study forecasts that some 700 million A/Cs will be installed by 2030, and 1.6 billion by 2050, with most of the increase happening in developing countries. But you can’t feel cooler inside, except by making it hotter outside. A recent study conducted by Arizona State University measured the impact of increased A/C use in Phoenix. A/C systems emit heat waste. During the day it’s hot anyway so little difference can be detected. However, at night, heat from A/Cs can increase outside temperatures by more than 1°C. 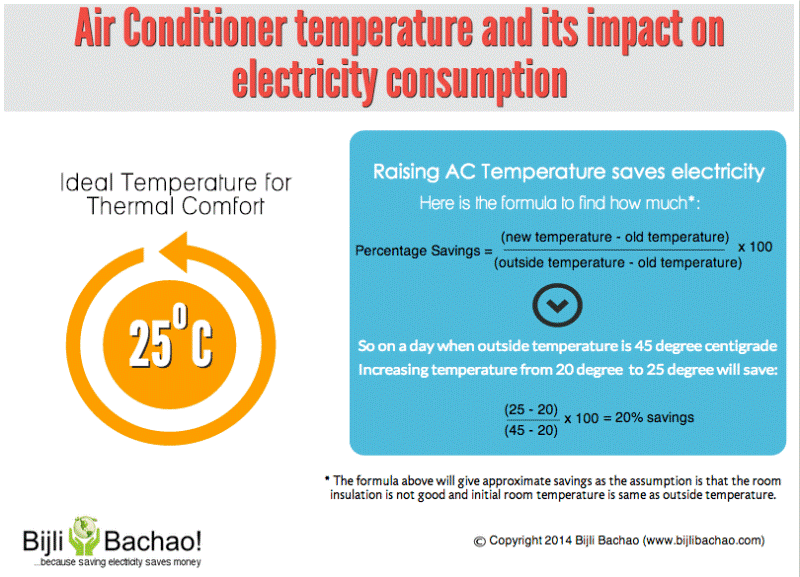 The extra heat makes people turn up their A/Cs higher, increasing outside heat more – a vicious cycle. The human comforts provided by A/C is one enabler for the emergence of the UAE as a global business hub and world tourism attraction. The fast-paced 24/7 lifestyle, the fantastic shopping malls, and the skyscrapers could not exist without major temperature modification. But it has been a mixed blessing. We’ve all experienced the contradiction of stifling heat outdoors and icy cold interiors in offices and commercial areas. Many residents just leave their A/C units running 24 hours, helping to make UAE electricity demand per capita among the highest in the world. This high electricity consumption is one of the main reasons that the UAE remains one of the world’s biggest creators of carbon emissions per capita. Emiratis, UAE expats and even tourists produce twice as much carbon emissions as US citizens. As of 2014, 70% of Dubai’s energy was being consumed by buildings, and of that 80-85% was used up by A/Cs. In response to its high environmental impact, the UAE was one of the first countries to ratify the Paris Agreement in September 2016 and the UN Sustainable Development Goals. Underpinned by their 2030 Green Agenda which builds upon the UAE Vision 2021 the government’s ambition is to mitigate climate change by generating 27% of national clean energy by 2021 through large-scale nuclear and renewable energy projects. The UAE government has also launched many initiatives targeting the reduction of energy consumed by A/Cs during the peak summer period. Longer term strategies including the National Plan for Climate Change 2017-2050 and the Green Agenda 2030 are propelling the country to a greener future. Green building codes and standards are stipulating the better use of electricity and water and the use of sustainable materials. We’ve mentioned before that the UAE is now one of the top 10 countries with the most Leadership in Energy and Environmental Design (LEED) certifications outside the US. Air conditioning has made the Emirates economic and cultural efflorescence possible, but it is also an incredible drain on resources; responsible for a staggering part of the UAE’s energy consumption. Current consumption habits, fostered by high energy subsidization in the past are unsustainable economically, and more importantly, environmentally. In a recent interview, Faisal Rashid, director of demand-side management at the Dubai Supreme Council of Energy noted explained that the Dubai Demand Side Management Strategy 2030 aims to reduce electricity and water consumption by 30%. The main focus of the government’s efforts are buildings, which are responsible for over 70% of consumption as noted. According to the latest figures released by DEWA in 2017, commercial users were responsible for 47.55% of total electricity consumption, compared to 29.33% for residential users. The balance is consumed by industry, power stations, and others, which are typically religious establishments, schools, etc. A similar pattern can be seen in Abu Dhabi, where the commercial sector consumed 48.2% of the total electricity generated, as of 2015. As commercial users consume the lion’s share of electricity in Dubai and Abu Dhabi, initiatives targeting energy conservation among businesses are sure to deliver both immediate as well as long-term effects. Cooling systems in the UAE use 80-85% of the total energy consumption of buildings. Because of the harsh climate, it is not desirable or even feasible to significantly reduce this. Rashid argues that the key is in optimizing usage without compromising comfort. “In the context of buildings, energy savings must be viewed as a source of energy. It is cheapest and cleanest not to use excessive energy at all and have consumption optimised at no loss of comfort or functionality to the user of energy,” he says. There are many strategies that can be used toward that end, including using smart sensor technology and reprogramming A/C units to balance loads with demand. At the same time, the government is continuing to promote central cooling because of the increased efficiency and cost-saving benefits it provides. Older buildings still make up a large share of the Dubai and Abu Dhabi urban landscapes. Most of these structures were built at a time when the last thing anyone considered was sustainability or conservation. These buildings are predictably the highest consumers of electricity and the greatest generators of carbon emissions. But times have changed. Electricity rates increased by 120% over the last few years with the gradual removal of energy subsidies. This has forced many companies to revisit their usage and to try to figure out ways to cut costs. One of the most effective ways to do this is through retrofitting. Retrofitting refers to the process of remodelling, refurbishing and fitting out existing structures so that they are more energy-efficient and more sustainable. Retrofitting is being strongly promoted by the government as an effective means of reducing energy consumption and implementing the environmentally sustainable design to preserve the environment. The Dubai Supreme Council of Energy plans to use retrofitting as a core strategy to cut energy demand by 30% by 2030. DEWA is on course to retrofit 30,000 buildings by 2030. This massive project is expected to cost $8.7 billion but result in a savings of $23 billion. ADWEA (Abu Dhabi Water and Electricity Authority) launched the Tarsheed Programme in 2017 as part of the Emirate’s strategic objective of reducing energy consumption by 20% by 2030. Over the next five years, Abu Dhabi will begin tendering projects for retrofitting up to 3,000 non-residential buildings. The retrofits will focus on providing buildings with more efficient cooling, lighting and pump technology. “(By) turning up the thermostat only two degrees reduces energy consumption by an average of 16 per cent per year” Tanzeed Alam, climate change and sustainability manager at the Emirates Wildlife Society-World Wide Fund for Nature. During the summer, the UAE’s energy consumption ratchets up by 60% during peak hours. Not only is this environmentally unsustainable, it translates into huge costs for homeowners as well as businesses. But a few simple actions can help you save energy, cut costs while helping the environment at the same time. If you are in the process of a new office fit out or a refit for your existing space, make balancing between employee comfort and cost-effectiveness one of your priorities. Different areas in the office will have different cooling needs. For example, server rooms, meeting areas may require more cooling. Offices nearer to the building perimeter need more cooling than interior offices. Design and colours can impact temperature perception. Light colours can reflect both light and heat, cutting down on energy consumption. Office layout will have a great impact on how much cooling is required. Open plan workplaces will need more cooling. In the short term, here are some tips to maximize A/C efficiency, while cutting costs this summer. A/C Maintenance or Replacement · One of the most cost-efficient ways of cutting down on office electricity usage is to ensure that the A/C system is regularly maintained. Clearing clogged filters can reduce energy use by 5-15%, as well as avoiding more costly breakdowns. · The accumulation of dust and dirt in the filter impedes the free flow of air and can also damage the unit. Regular cleaning helps units cool down more efficiently, reducing energy consumption. · New A/Cs are more energy efficient, so it may be time to undertake an office energy audit. Small Increases Can Deliver Big Savings · DEWA runs an annual summer awareness campaign encouraging residents to turn up their A/C by only one or two degrees. The average human can be perfectly comfortable at around 24-25°C. Making sure that thermostats are automatically adjusted to this range is an effective way to cut costs. · The US Department of Energy estimates savings of about 1% for each degree of thermostat adjustment per 8 hours and recommends turning thermostats back 7 to 10 degrees from their normal settings for 8 hours per day to Achieve annual savings of up to 10%. o Zone Scheduling: Set A/C schedules for different areas of a building according to the number of occupants so that systems are not running at 100% capacity always. o Night or Unoccupied Setback: Use programmable thermostats to automatically reset temperatures during unoccupied hours. o After-hours Override: Allow temporary reset to comfort levels only when needed. o Occupancy Sensors: Use motion or infrared sensors to trigger A/C only when needed, or when triggered by key card use. KEEP COOL AIR IN & HOT AIR OUT · Check sealing around windows. · Ensure that office entryway doors are closed properly to prevent leakage. · Separate heat producing office machinery such as printers, scanners etc. into closed areas. LIGHTING · Use low heat emitting lighting, like LED. Traditional incandescent lights consume a lot of energy and produce a lot of heat. LED light bulbs are more economical in the long-run because they typically last 10 times longer. · LED lighting can reduce heat build-up in the office leading to A/C cost savings. · Use desk or workstation lights, reducing overhead lighting during the summer. · Maximize the use of natural lighting. · Cover windows as much as possible during the hottest periods. Use of blinds, curtains or reflective window film can cut down on heat and glare. · Ceiling fans, depending on office design and space may be an option. Ceiling fans can reduce the need for A/C resulting in cuts of 40% in electricity use. Fans use 1/60th energy of the air conditioner. · Change summertime working hours to start earlier in the morning. · Change summertime dress codes. Delivers the highest levels of finishing. Only one interior fit out company in the UAE has all these attributes, and that is Summertown Interiors. Summertown Interiors is the UAE’s leading fit out expert in creating environmentally sustainable workplaces and the first company in its field to attain the coveted Leadership in Energy and Environmental Design (LEED) Gold certification, the most widely used green building rating system in the world. Summertown takes its responsibility as a green fit out specialist seriously. 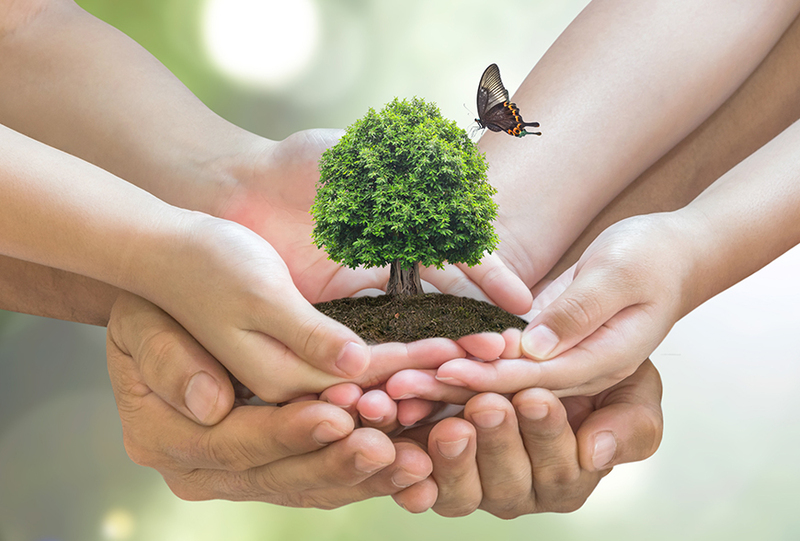 More than just a policy, sustainability is embedded in the firm, and it publishes its ambitions and performance in an annual sustainability report. Among the many commercial fit out contractors in Dubai, Summertown was the first to apply for the LEED for Existing Buildings: Operations and Maintenance (LEED EBOM), the certification for the ongoing operations and maintenance of existing commercial and institutional buildings for its Dubai HQ. As part of the LEED EBOM certification process, Summertown installed systems to allow for detailed monitoring of water and energy consumption, renovated the outdoors, installed additional carbon dioxide sensors to monitor indoor air quality and modified the A/C system by raising the base temperature, reducing overall electricity usage. If you want a sustainable, energy-efficient and cost-saving fit out or refit, then contact Summertown today. For over 20 Years, Summertown Interiors has been among the UAE’s leading contractors, offering superior quality interior fit out solutions.